Cleans and protects teeth. * May help reduce the risk of cavities. 30% fewer calories than sugared gum. Calorie content of this size stick has been reduced from 5 to 3-1/2 calories. With Xylitol. 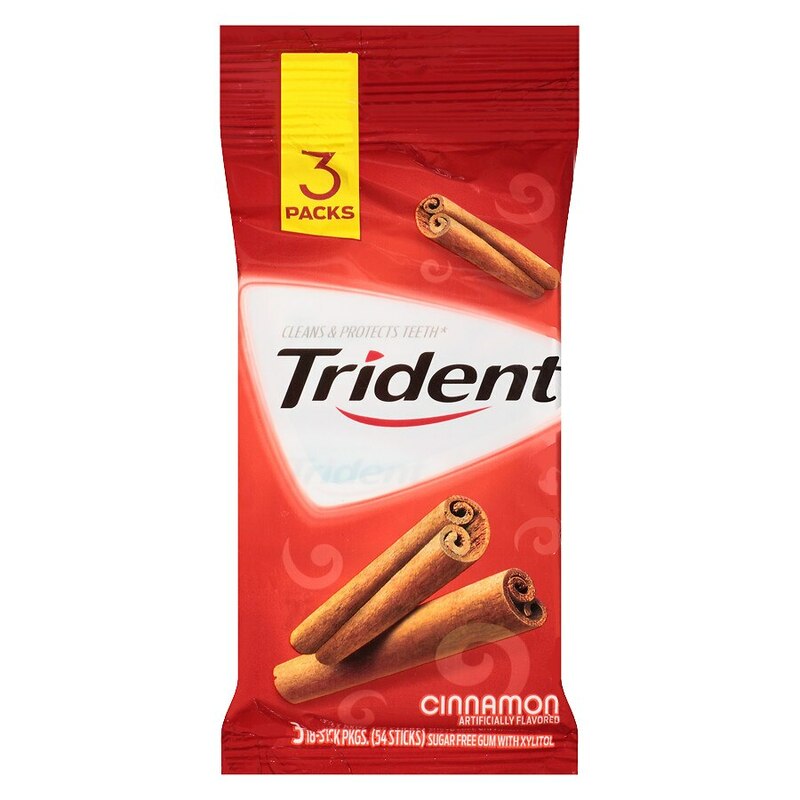 *Chewing Trident after eating and drinking cleans and protects teeth.